In Print. Online. On the Go. 78% feel that custom publications show a company’s interest in building good relationships with consumers. 74% prefer receiving information about a company through custom publications. 65% say that companies that provide information about their products in custom magazines help them to make better purchase decisions. 55% say that they are more apt to buy another product from a company that has provided them with a custom publication. 61% feel that when reading custom publications it makes them feel better about the company that provided it. Partner with Rhode Island Monthly for high-profile signature events. We’ll handle it all from start to finish with a comprehensive plan including event concept/design, venue selection, catering, staffing, invitations/RSVPs, photography/video, entertainment, web promotion, online ticket sales, and publicity. We’re here to help…from start to finish. With our multi-platform approach, we can provide you with a comprehensive package that handles everything from concept to distribution. 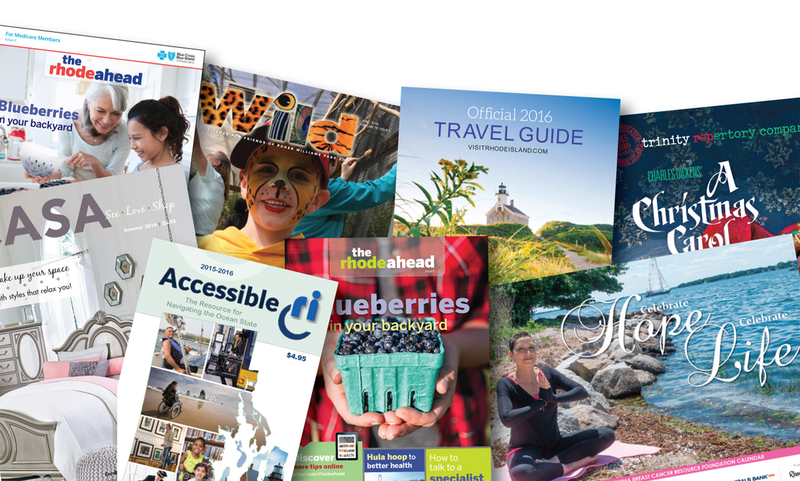 Publications can be printed and mailed to your specific list or – for maximum impact – mailed along with Rhode Island Monthly to our loyal subscriber following of 166,000 educated, affluent readers. Did you know? In addition to helping to write and design your custom project, you can leverage our volume of work to lower printing costs for an existing project you may already have. And once it is printed, we continue to support and promote your publication with a link to a digital edition on RIMonthly.com and digital/social media support. For more information on how RIMPACT can help your business, please contact Kieran Keating, associate publisher/sales at Rhode Island Monthly, at kkeating@rimonthly.com or 401-649-4888.